This project formed one component of the Greater Launceston Plan, a local, State and Commonwealth funded 20-year infrastructure and land use plan for the region in northern Tasmania. 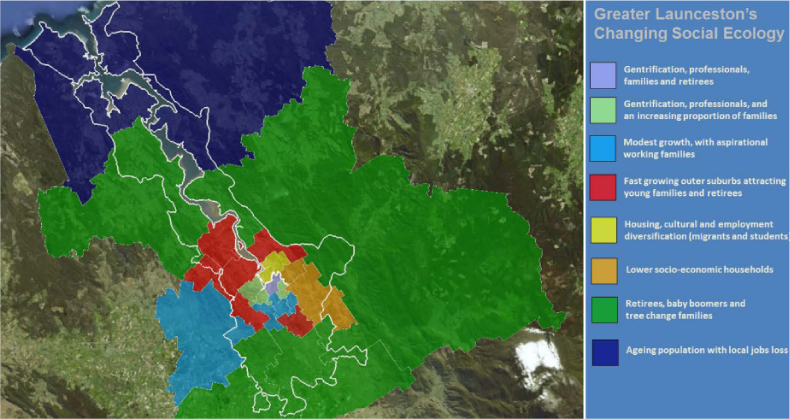 It featured analyses of demographics, settlement patterns and population and housing scenarios for over 20 communities across northern Tasmania. a series of community workshops, surveys and analysis informed the statement, which was the general community's mechanism for input to the Greater Launceston Plan.